You reach for the fully compliant DWS file, policies and procedures and with confidence welcome them to your venue. Some venues do not have sufficient AUSTRAC compliance systems in place to protect themselves from significant fines and penalties. This may be due to lack of time, or the complexity of the legislation, or not having staff with sufficient knowledge and understanding to ensure compliance with AUSTRAC. 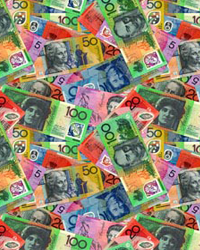 Money laundering is a significant threat to the Australian way of life and many of us may find it difficult to believe it is happening in our venues. As community based organisations we have a moral obligation to comply with AUSTRAC by minimising any potential risk from money laundering. Furthermore, we need to protect our industry from any alleged or real money laundering activities, which if occurred could cause irrevocable damage to your industry, your business and its brand. Are you confident that your compliance program is robust enough to satisfy the most savvy AUSTRAC investigator? increased scrutiny on your venue’s financial transactions and records. What is my responsibility as a hospitality venue to reduce the risk of people laundering money? Clubs with more than 15 gaming machines are required to have an effective compliance program in place to ensure you meet the requirements of the Law. Even if your risk of an event like this happening is small, the Law states that Anti-Money Laundering and Counter Terrorism Finance must be managed, and it is up to you, as a Manager or Director to ensure your venue complies with the Law. AUSTRAC remain active in the space of Anti-Money Laundering and Counter Terrorism Finance and a visit from an AUSTRAC Investigator is not the time to find out your compliance program isn’t sufficient. Managing an effective compliance program and auditing of your business can be complex and stressful if you don’t have the expertise on hand (not many businesses do). You can download the AML/CTF Act or the Regulations, but what you really need to know is; What do I need to do and how do i do it? Engaging qualified and professional risk management consultants can ease the pressure of compliance in your business. Contact our risk management consultants for more information.